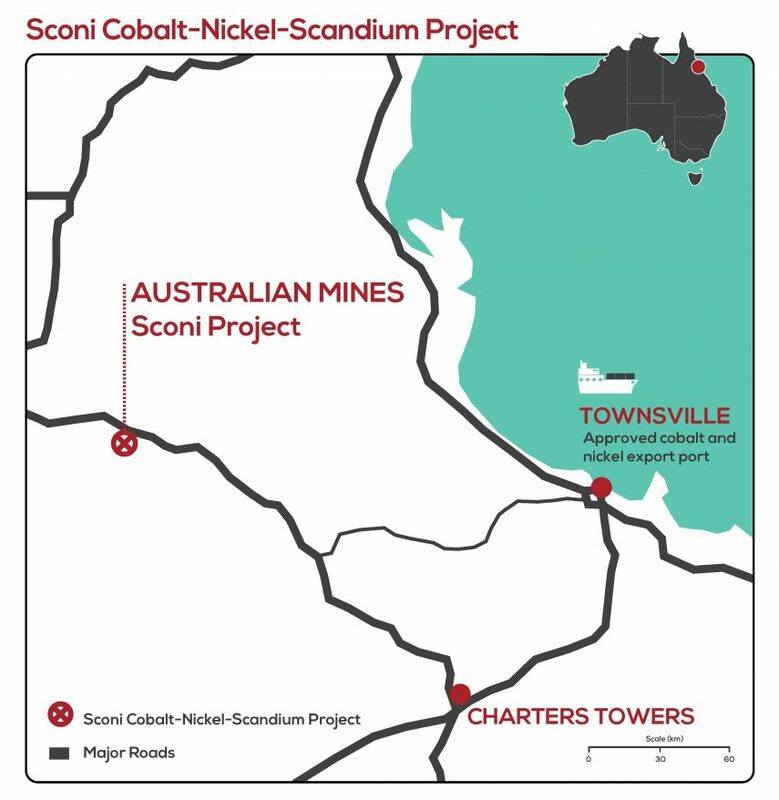 Australian Mines has announced positive results from a bankable feasibility study into the Sconi cobalt-nickel-scandium project, 250km north-east of Townsville. The operation is expected to cost $US974 million - about $AU1.3 billion - to develop, with the company stating that $US922 million of the total capex is anticipated to be spent with Australian businesses, with a preference for Queensland companies. The company said economic modelling in the BFS demonstrated construction of three open pits and a 2Mtpa processing plant at Sconi would deliver long-term benefits to Australian Mines shareholders and the regional Queensland economy. The BFS proposes that 90 per cent of the ongoing annual operational expenditure at the Sconi project be with North Queensland businesses. And the nearby communities of Greenvale and Charters Towers are expected to host 80 per cent of the operational workforce, with limited fly-in, fly-out support from Townsville. Construction is expected to create up to 500 jobs from 2019 to 2021, followed by more than 300 full time positions once the mine, processing plant and associated infrastructure are in steady-state operation. Australian Mines managing director Benjamin Bell said the Sconi BFS demonstrated a robust project and financial metrics. The project was on track to move to the next stage in funding negotiations, he said.